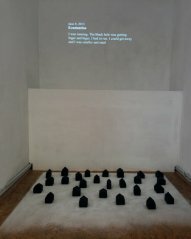 The basic structural elements of Kata Mijatović's and Zoran Pavelić's works in the joint exhibition project Voices & Words are reflected through the implemented notions of sound, voice and text that function as direct and literal mediators of meaning in said works or indirectly through artistic statements commenting the 'here and now'. Although the works are mainly presented in the medium that includes a visual component: spatial installation, performance, photography and video; the basic transfer of the idea takes place by means of voice, sound and text. The individual artistic interests and individual ways of research of media practice of both artists, are encountered in this joint project through synergy of different works, the basic feature of which is the use of aforementioned elements in literal and figurative sense. The main preoccupation of Kata Mijatovic's works is reconsideration of the complex relationship between the conscious and unconscious 'self', their dichotomy and interaction. 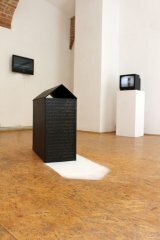 Zoran Pavelic primarily explores the influence and relationship between different geo-political, cultural factors, mass media as well as the position of artists and art in today's society. 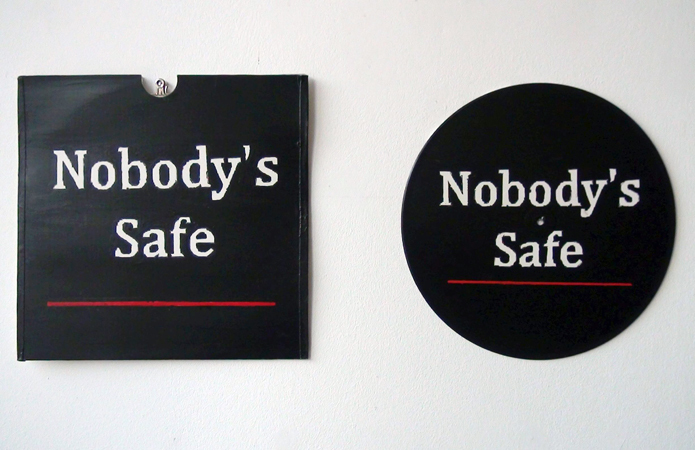 Both work as Multimedia artists, and their primary media is performance, video, installation and site specific intervention. 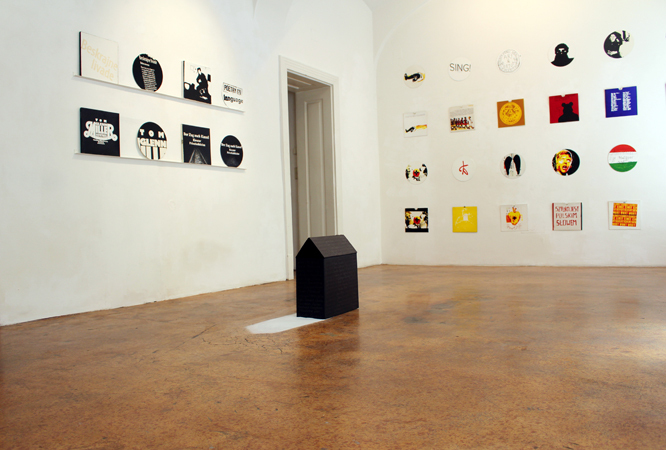 The exhibition concept of Voices & Words has been presented on several occasions in different spaces and cities abroad, but always featuring different works and different approach to the exhibition setup. 1956 born in Branjina, Croatia. 1988-1991 she was member of the art group Swamp / Grupa Močvara. From 1991-1993 studied painting at the Accademia di Belle Arti, Florence. In 1997 graduated painting at the Academy of Fine Arts, Zagreb. 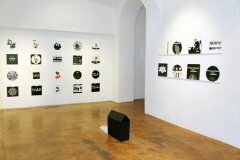 Since 2005 she runs AŽ Gallery at Artistic organisation Žitnjak Ateliers, Zagreb. Since 2007 she is member of the art group PLEH. 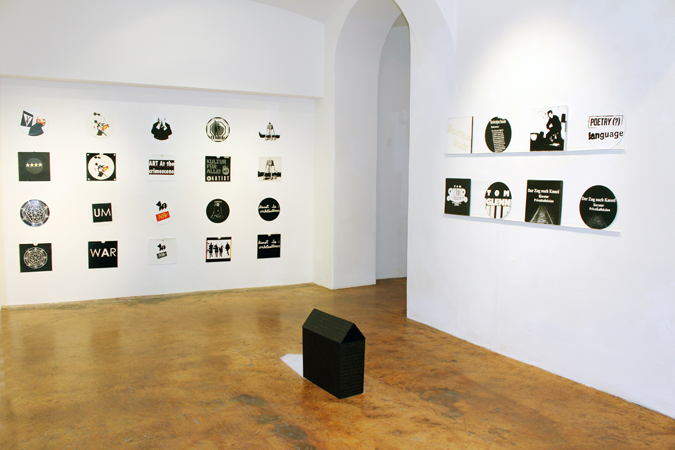 In 2013 she represented Croatia at 55th International Art Exhibition La Biennale di Venezia, with the project Between the Sky and the Earth curated by Branko Franceschi. Lives and works in Zagreb. 1961 born in Osijek, Croatia. From 1988 to 1991 founder and member of informal art group Swamp / Grupa Močvara.1998 he graduated painting at Academy of Fine Arts, Zagreb. 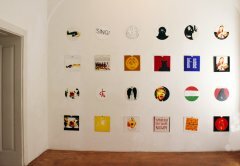 Member of Artistic board of the Baranja Art Collony / BUK / 2004 / 2010. Art director and member of Artistic group PLEH /2007. Lives and works in Zagreb as independent artist. 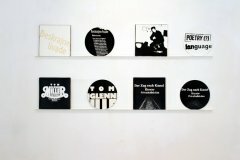 A series of interventions on a second hand LPs records and their covers realised since 2014, which results so far in more than 200 LPs/works. The motives of interventions are mostly taken from author’s 'art memorabilia', or from pop culture, or as a quotation from the other artist’s repertoire. Although these LPs don’t reproduce any sound any more, this non-existence but potentiality of the sound defines the meaning of the works. 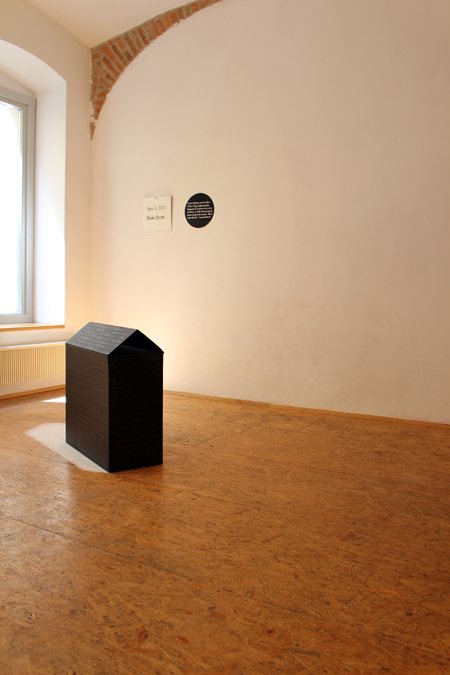 The installation placed on the floor consist of one objects with a rudimentary form of house, made from cardboard, painted in black, with no doors and windows. 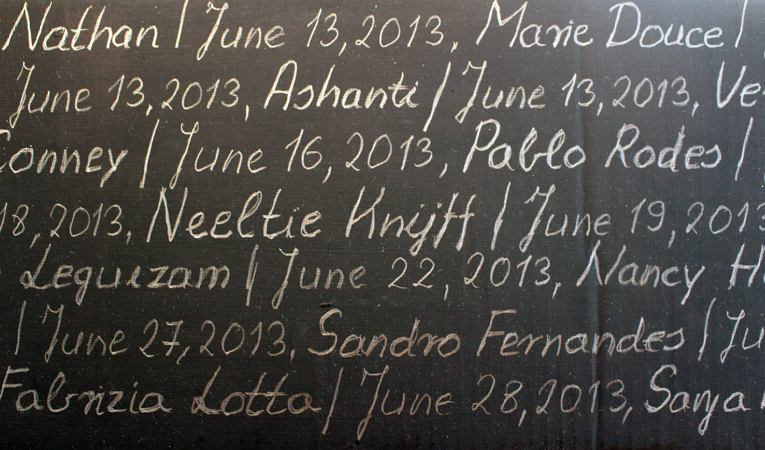 On the surface of cardboard is written in pencil the names of selected dream 'donors' from Dream Archive. On the floor is placed also the shadows of the house consisted of sprinkled salt. 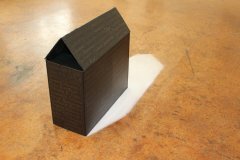 The installation placed on the floor consists of one object with a rudimentary form of house, made from cardboard, painted in black, with no doors and windows. On the surface of cardboard is written in pencil the names of selected dream 'donors' from Dream Archive. On the floor is placed also the shadows of the house consisted of sprinkled salt. 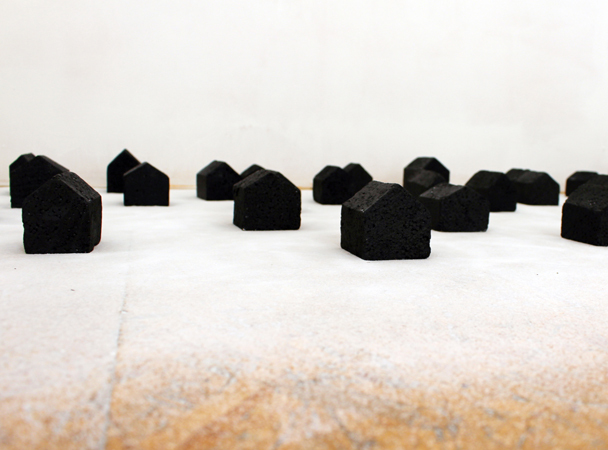 The installation placed on the floor consists of 24 houses with a rudimentary form of houses, made from styrofoam, and painted in black, with no doors and windows. On the floor is placed also the shadows of the houses consisted of sprinkled salt. The installation placed on the floor consists of 24 houses with a rudimentary form of houses, made from styrofoam, and painted in black, with no doors and windows. On the floor is placed also the shadows of the houses consisted of sprinkled salt. The video consists of a seventy selected texts of dreams from the Dream Archive. In the video, the text of each dream is written in white letters on a black background – it lingers for a few seconds, disappears, and then the text of the next dream is written on the black background. 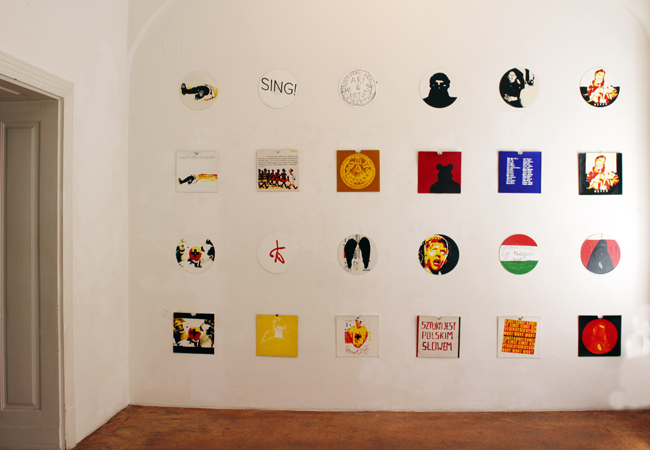 A series of interventions on a second hand LPs records and their covers realised since 2014, which results so far in more than 200 LPs/works. 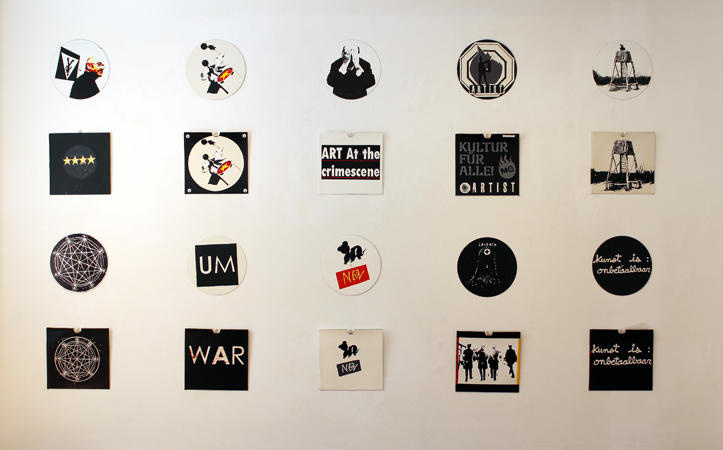 The motives of interventions are mostly taken from author's 'art memorabilia', or from pop culture, or as a quotation from the other artist's repertoire. Although these LPs don't reproduce any sound any more, this non-existence but potentiality of the sound defines the meaning of the works. 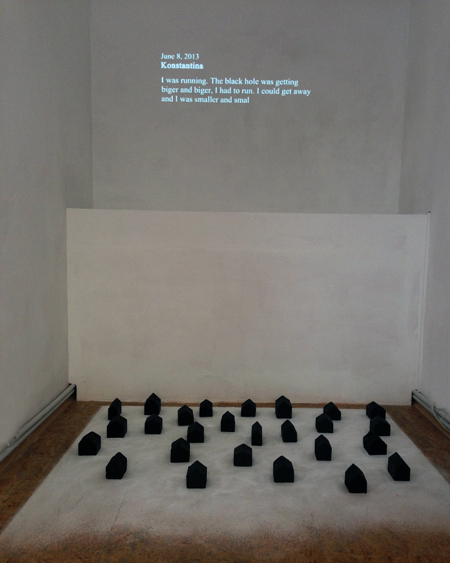 The video 175km is produced from the video documentation of the eponymous site-specific installation realized at residential stay in AQB Budapest 2015. Video captures the formation of the wall drawing (220 x 220 cm) composed from lines plotted in pencil, with a total length in 175 km - which is total length of the wall that Hungary built at that time on the border with Serbia to prevent the entry of immigrants. In a single frame video recording I cry out myself, exclaiming my name in uneven time intervals and with different intonations, standing at the entrance of the dimmed, undescriptive space. 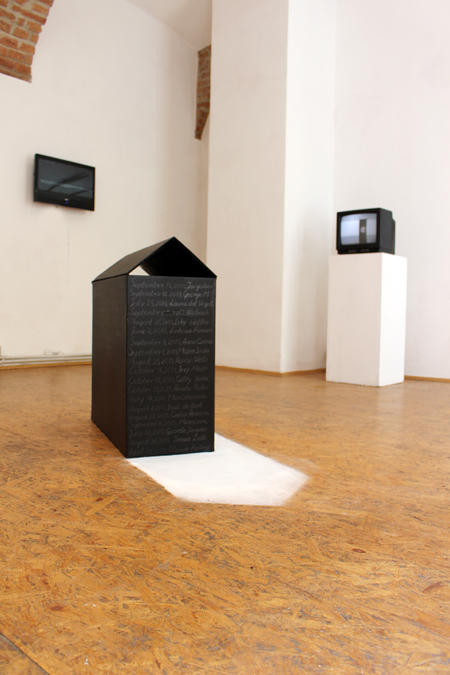 The video is based on the online project Dream Archive (www.arhivsnova.hr), online domain created in 2013 for collecting, archiving and storing of dreams in text format. Since then, more than 2000 dreams in different languages have been stored in the Archive. This project also serves furthermore as a base for a series of works in which the texts from the Archive are the basic structural elements. The video consists of a seventy selected texts of dreams from the Dream Archive. 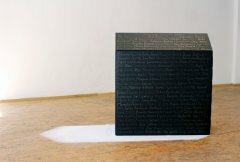 In the video, the text of each dream is written in white letters on a black background – it lingers for a few seconds, disappears, and then the text of the next dream is written on the black background.